After a hot afternoon spent with a big gang of kids at Umbertide Swimming Pool, we decided to call in at the Enoteca Wine Club in Umbertide for a glass of wine. We shared a bottle of delicious white wine made from Umbria’s increasingly popular white grape, Trebbiano Spoletino. Many Umbrian vineyards have been rushing to plant this once overlooked grape variety, it is rapidly gaining a loyal following of wine drinkers. 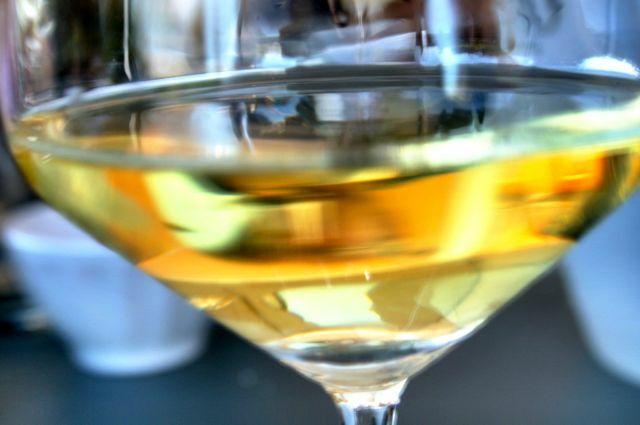 Not only is it local and unique to Umbria, but the wine is often outstanding – typically characterised by crisp acidity that is countered by a notable minerality and lovely citrus aromas. 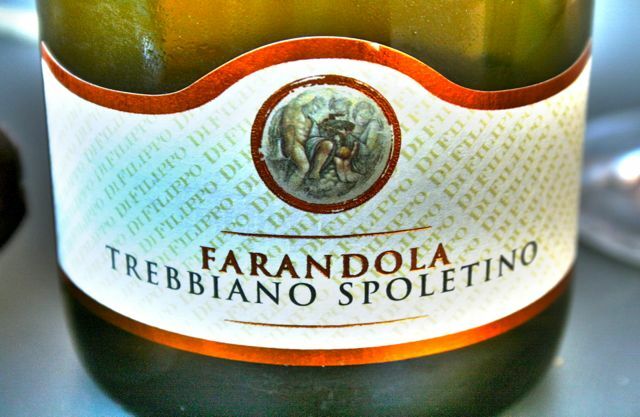 I’ve tried Trebbiano Spoletino from several vineyards and I’ve yet to try one that I don’t like. On this occasion we drank Farandola, made by the Di Filippo winery n the Montefalco wine region. If you come to Umbria be sure to try a bottle of Trebbiano Spoletino, it’s a wine you won’t find being made anywhere else in the world.